We are grateful for what was yet another wonderful summer in Tofino. Wildlife sightings this season were extraordinary! We saw Gray Whales in Clayoquot Sound every day on our tours in July, August, and September; and we saw Black Bears on 118 out of 122 days from June to September. It's truly remarkable when you are able to have this many encounters with whales and bears in a natural setting... it is certainly part of what makes Tofino so special. 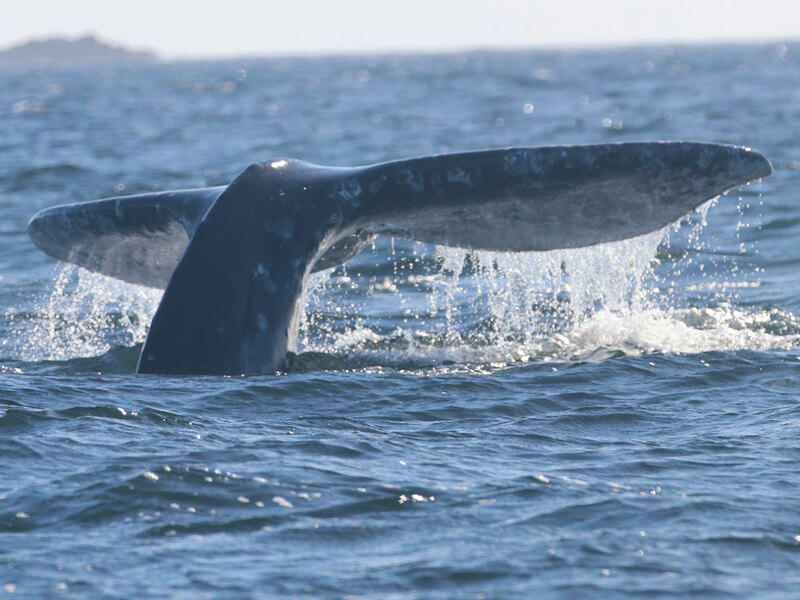 Sighting for Humpback Whales and Orcas were also strong this summer! We encountered Humpback Whales in their natural habitat on 10 different days in July and August, and saw Orcas on 16 different days in July and August! We are fortunate to have such diversity in whales returning to or transiting our waters in 2017. Coastal Wolves are much less common to see, however, we were blessed to see them on 16 different days this summer! Watching these wolves swim the channel, scout the shoreline, and call for their mates is truly spectacular! Something we’re sure that all of our guests who were lucky enough to encounter will remember for a lifetime. We can’t reflect on what a wonderful summer it was in Tofino without thanking all of our guests who made it possible for us to go on these tours day after day, and view all of the amazing wildlife that can be found Clayoquot Sound. Being able to share this part of the world with you is what we love to do. Your stories and enjoyment when we encounter wildlife on a tour is truly inspiring for us, so for that we thank you!